Here, I do a hair update. Not because I want to display my hair for all the world to see, but so that you might get an idea of what to expect when making the transition from colored grey hair (in my case, it was very dark brown) to natural grey hair. My goal is to get my hair to a silvery color in order for my own grey hair to look somewhat natural growing out. Previously, I had tried to remove the dark brown dye. That only left my hair shades of orange to auburn. Then I bleached my hair, which left my hair bright white at the roots, with the rest of it cascading from bright orange to a lighter auburn, or dark orange, at the bottom. Not wanting to bleach my hair anymore and not wanting to go to a salon, I needed to dye my hair a cool mid-tone in order to even things out and more slowly color lighter and lighter until my desired goal. To the right is what my hair color was like when I left off Part I. My orange hair after coloring with medium ash blonde plus violet additive. Color is darker, much more even, and very frizzy. Left is what my hair looked like after coloring it medium ash blonde using Color Silk and having added 2 capfuls of Wella Color Charm Cooling Violet 050. I don’t think Color Silk is the best, but as I wasn’t intending to keep my hair that color for long, I didn’t care much. I wanted to get the cooling violet in my hair ASAP! While the dye and the violet additive did very happily even out my hair color to a degree (the photo looks better, to me, than my hair really looked), after I shampooed it the next day it looked like some of the dye washed out! It was quite orange again, but less severe than before I dyed it. In Part I I said that I was going to buy Dessange Paris California Blonde Brass Color Correcting Crème and use it to show its effect, but it was sold out at Target (Target is the only general store where I know it’s available). So, I bought L’Oreal’s EverPure Blonde Brass Banisher shampoo, along with their EverSleek conditioner to help with the frizz. This is what I shampooed my hair with that, oddly, made it look brighter orange again . . . and, the frizz got worse, too . . . ! Very strange. My orange hair after dying medium ash blonde and shampooing + conditioning it. It actually looks brighter than this photo. I went a day without shampooing, then washed my hair with Jhirmack Distinctions Silver Plus shampoo. I conditioned it again, too. To the right is what it now looks like. My hair needs a rest, so I’m waiting until Monday (8 days from the last coloring) to dye my hair again. At that time I’ll use Garnier Nutrisse Ultra Color LB3, Ultra Light Beige Blonde (“Lightens up to 4 levels Without Brassiness”), with 4 capfuls of the cooling violet additive. I’ll let you know how it turns out! My goal is to ultimately use Wella Color Charm Nordic Blonde with violet additive to make my hair silver white. We’ll see how it goes . 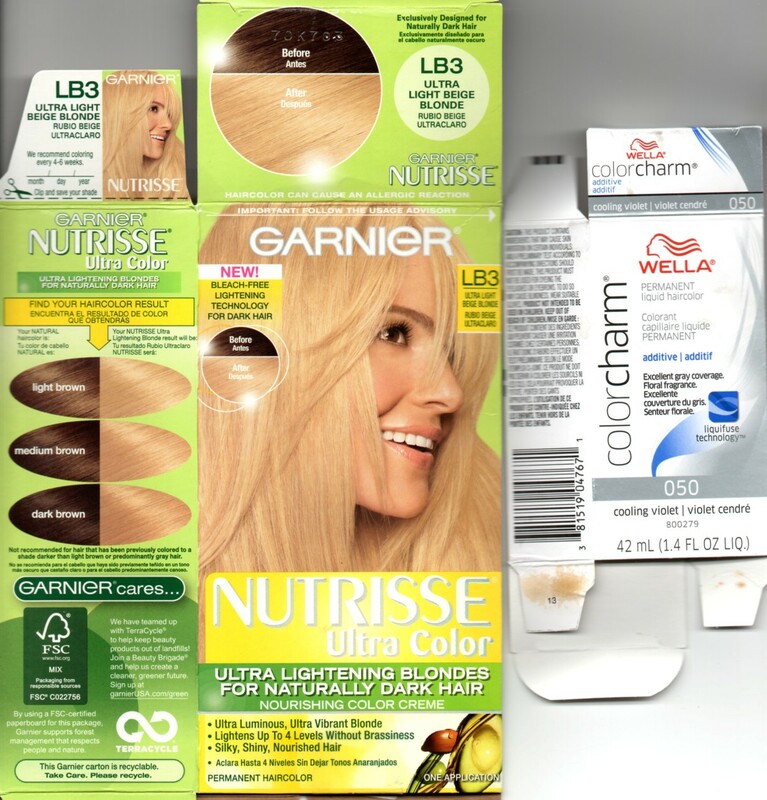 . .
Garnier Nutrisse Ultra Color LB3 and Wella Color Charm Cooling Violet Additive 050. I decided to add to this Part II instead of making a Part III right now. I used the Nutrisse Ultra Color and 4 capfuls of Wella Color Charm Cooling Violet additive, as I said I would. The results weren’t blonde or crazy, but they were still disappointing. I expected a lighter result; my hair is virtually the same as it was before, despite having applied the dye combo onto the darkest areas first. These areas had dye on for about 40 minutes. As mentioned in my first post, I expect something clearer on these boxes from hair color companies. This box has the statements that the results shown in the oval comparisons (see image) are for natural hair. Ok, got that. But, I don’t know what they consider my hair. The earlier dye has been removed, leaving my hair color from white to dark orange (or auburn). Should I really consider my hair still dyed . . . or ? A small note below the ovals says that this dye is not recommended for hair dyed darker than light brown. Ok, mine did not seem to apply to that any longer. It is also not recommended for hair that is mostly grey. Ok. 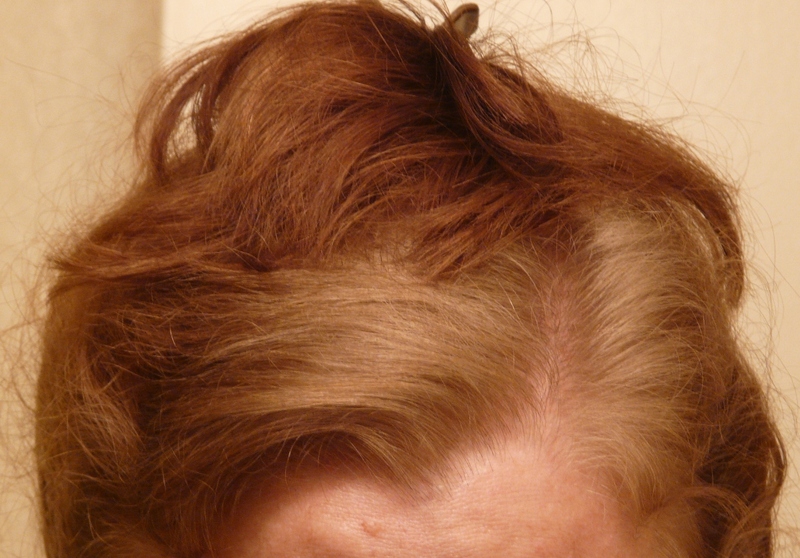 While my hair was orange-plus, it was also mostly grey at the roots; should the orange be considered grey? I really don’t know, but based on the information provided, I truly thought that the dye would: brighten my hair to a more blonde color, but not as bright as shown, necessarily, and that it would not make the roots bright blond either. Root color along with the darkest orange color hair from ends (held up with hair clip). In real life, the roots are not orange-tinged as they appear to some here. The results I got seem like the dye did virtually nothing, with the change that did occur due to the violet additive. In any case, my hair is not blonde at all, except in all the root areas, where it is a very cool blonde indeed. The last photo I left you with above shows my hair browner than it really was (another photo I took was the opposite, being brighter orange). The photo to the right shows my hair pretty close to the way it looks, but, it is actually a lot shinier in real life. The Nutrisse and the additive did not leave my hair dull, though I’ve used strong conditioners. The point of all this is, it seems true that you can’t dye orange hair–or at least orange grey hair–to a lighter color. The orange part of my hair may be getting very slightly lighter each time I dye it, but gosh, it’s by such a small amount! 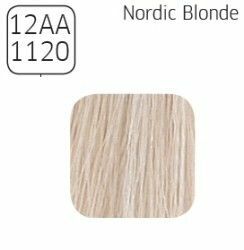 Next week I’m going to try the Nordic Blonde (Wella Color Charm), as I said, with more violet additive. I was intending to use level 20 developer at that point, but now I may use the 40 level. I already have the 20, but I may ask someone at Sally’s if they think the 40 will help at all. I’m assuming that the Nutrisse used a level 40 developer, or else I don’t see how the product could lift the color so much (on natural hair, if it works as stated). If so, would Wella Color Charm be any different? Nordic Blonde by Wella Color Charm. Seems like a great grey color for having roots grow back with. I may have to get my hair cut very short in order for the more virgin hair to get to a grey or silver color with any of these dyes and additives. 😦 Would the super white Frosty Ash by Wella be better? Perhaps that will be my last try after Nordic Blonde. Part III will tell. I see this is an old post, so you may have learned this by now, but I hate to see you frying your hair for nothing… Once you’ve dyed your hair, you won’t be able to lighten it with another application of hair color. Hair color won’t lift hair color. To lighten previously dyed hair you must use bleach, or strip the color from your hair first. Indeed, yes, I went through that with all the posts. From my experience and from what others have said, spending what seems like a lot at a hair dresser is very probably the best route. However, I’ve also read of a number of cases where the person did that and the hairdresser didn’t do a good job, so they wasted their money and still have a problem. The best thing to do is . . . not dye your hair dark! 😀 Unless you’re wealthy. I’m glad to be living in a place where grey hair is acceptable. Where I lived before I very rarely saw anyone with grey hair, and that was in a very highly populated area, too.